Mauritius is a small island nation in the Indian Ocean. This area was for a long time an important stop off point for traders going from Europe to Asia, and as a result, has been under the control of several countries at various points in history, including Britain and France. The .AC.MU domain extension is intended for use by academic institutions. Register your .AC.MU domain extension today! Promotional Terms » Promotion only applies to new 1-year registrations. » Multiyear registrations are possible, however promotional pricing only applies to the first year. » Transfers and renewals are NOT eligible at promotional price. » Premium Domains are NOT eligible at promo price. Description: Register a .MU extension to expand your business in Mauritius. Mauritius is an African island nation. Its most unique.. Description: Register a .CO.MU extension to expand your business in Mauritius. 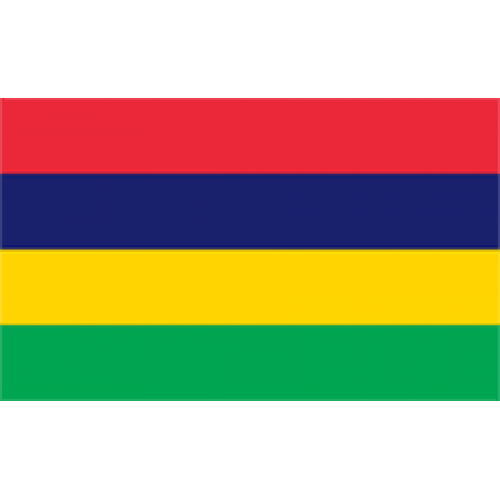 Mauritius is an African island nation. Its most uni.. Description: Register a .COM.MU extension to expand your business in Mauritius. Mauritius is an African island nation. Its most un.. Description: Register a .NET.MU extension to expand your business in Mauritius. Mauritius is an African island nation. Its most un.. Description: Register a .OR.MU extension to expand your business in Mauritius. Mauritius is an African island nation. Its most uni.. Description: Register a .ORG.MU extension to expand your business in Mauritius. Mauritius is an African island nation. Its most un.. Description: Mauritius is a small island nation in the Indian Ocean. This area was for a long time an important stop off point for traders going ..